The simple tools of everyday life have always been what drew the attention of Jørgen Møller. His mantra being that “everything or ever tool we use throughout our day, should have a form and a shape which not only fulfills the functional demands but also satisfies our sense of aesthetics”. In 1969 Jørgen Møller contacted Torben Ørskov, and this was the beginning a long and prosperous cooperation. Torben Ørskov had opened the first true design store in Copenhagen ‘Form & Farvei’ – modern design products was the central focus and for the store Jørgen Møller designed cutlery, leather bags, folding chairs, picture frames, candleholders and many other products. From 1981 onwards Jørgen Møller put a distinctive touch on Georg Jensens’ design collection. He created clocks, weather stations, thermometers, candleholders, lamps, the gastronomical collection. 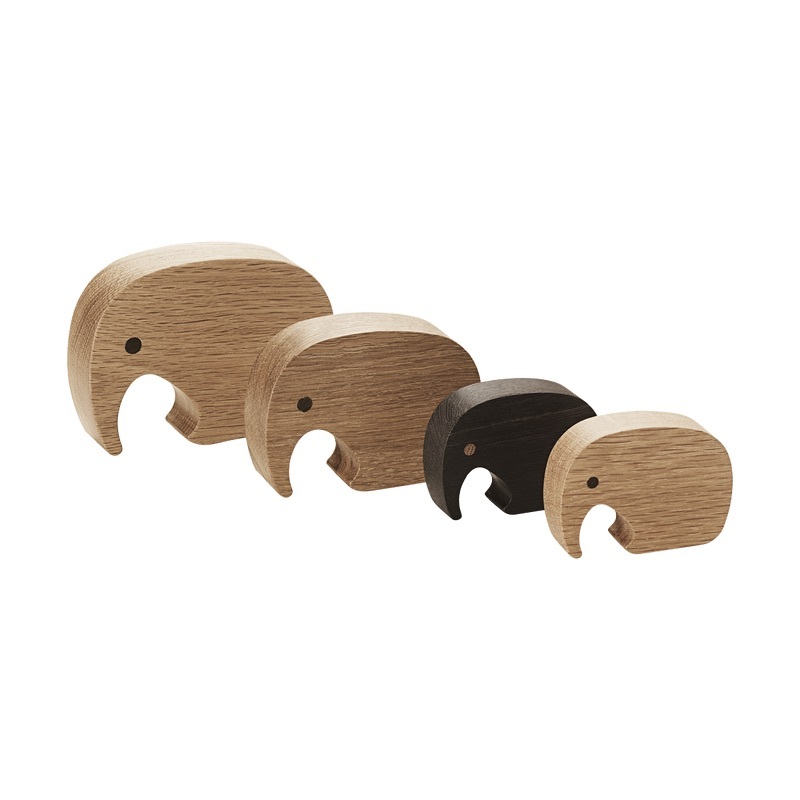 Complet and last but not least the popular and beloved collection of products in the iconic elephant shape – the Nøllephant, the Øllephant and the Moneyphant. Cheerful elements created to delight a child´s world, as well as please the eye of parents. The Elephant design has come a long way since it was first introduced to the world in 1989. 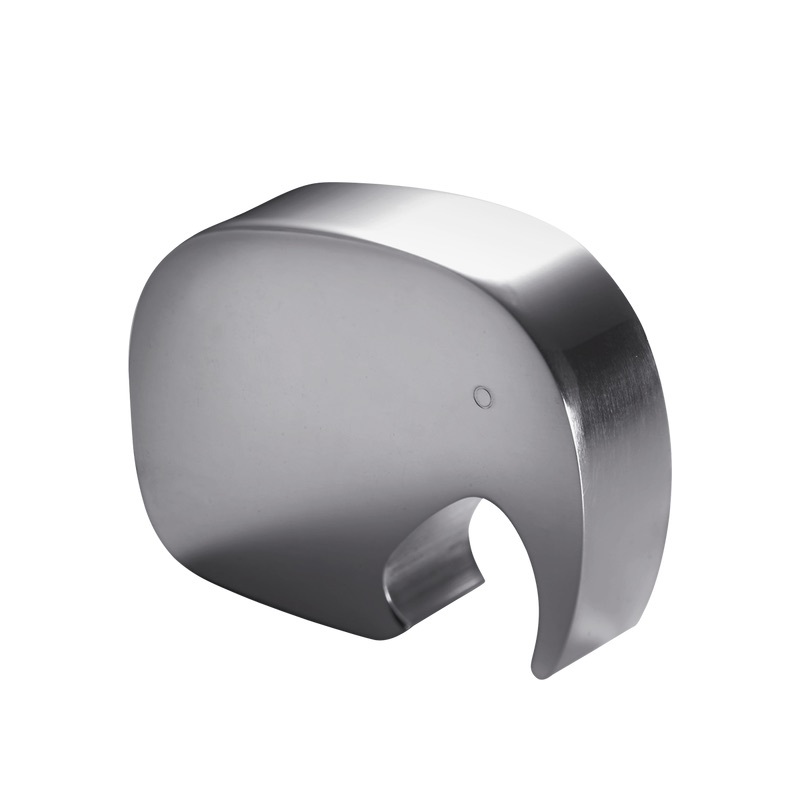 It first appeared as a bottle opener designed by industrial architect Jørgen Møller who had been inspired by his grandchildren´s favourite creature. Beautiful figurines in assorted sizes carved in smooth European oak and African wenge, perfect as a functional collection of home decor that can be enjoyed as a toy as well.